It’s no great secret: when you eat less sugar you lose weight. Everyone from your grandma to your 8-year-old son understands that laying off the soda, cookies, cakes, candy and donuts encourages weight loss, but that’s not the only reason to take it easy on sugar. During your weight loss journey with phentermine, you’ll be working to makeover your eating habits and there’s a lot to be said for developing healthy practices that will benefit you in the long-term. So, here’s 10 reasons why “eat less sugar” should make the list of permanent changes! Go back about 20 years and it was a food’s fat or carb content that concerned the average American. Now, however, many health-conscientious consumers stress about a different line on the nutrition label: added sugar. And with good reason. Added sugars are hidden, empty calories contained in hundreds of common foods from instant oatmeal to flavored yogurt to salad dressings to sandwich bread. With all of the hidden sources of sweetener, it’s a little less surprising that a recent NCHS report estimated that the average American consumes 110-160 CUPS of added sugar each year! However, it’s not the hidden sugars that spell disaster for most people – it’s the over-consumption of sweet treats and drinks. Eating too much added sugar has been linked with a myriad of negative health consequences, but that doesn’t mean you should swear off sugar entirely. Added sugars are, as the name suggests, sugars and sweeteners that are added during production or preparation. These are sugars that are not naturally contained in the food, but instead added to enhance flavor or texture. These sweeteners can be natural (e.g. sugar or honey) or chemical (e.g. high fructose corn syrup). Regardless of the source of the sweetness, added sugars add little-to-no nutritional value. Calories from added sugars are considered “empty calories” because they are devoid of any nutritional value on top of the additional calories. Naturally-occurring sugars, on the other hand, are present in a variety of healthy foods including fruit and dairy products. As a result, some unprepared foods (like a raw banana) and unsweetened foods (like plain yogurt) list several grams of sugar per serving on their nutrition label. Don’t worry – there’s no need to avoid these naturally-occurring sugars. Simple sugars are the main source of quick fuel for the body they help keep your brain and body powered throughout the day. For that reason, it’s beneficial to include some healthy, naturally-occurring sugars in your diet. The difference between naturally-occurring sugars and added sugars is that foods and drinks high in natural sugars (like fruit and milk) also contain lots of vitamins, fiber and other nutrients that benefit your overall health. These sugars are NOT “empty calories”. Make an effort to swap added sugars for natural sugars to get the most reward from your food. Added sugars aren’t helpful or nutritious, but they do make food taste better. So, how much sugar should you have a day? Experts agree that it’s okay to consume a small about of added sugar equating to about half of your daily discretionary calories. Your “discretionary calories” are the 10% of your daily intake that nutrition and medical experts accept can, and will, come from less-than-nutritious sources. These calories are set aside for unhealthy fats (like saturated fat), nutrient-poor beverages (like soda or alcohol) or sweets. The 10% rule means you have 200 discretionary calories if you’re following a 2000 calories, 150 calories if you’re eating 1500 calories per day, etc.. If you’re wondering how to convert the grams on a nutrition label to calories: sugars have 4 calories per gram. That means that someone who’s following a 1500-calorie diet and only gets 75 calories of added sugar needs to stick to under 19g of added sugar all day. Curious what 1 gram of sugar looks like on a plate, or in a spoon? A quarter teaspoon (1/4 tsp) of sugar is equal to one gram of the sweet stuff. That means if you’re looking to limit sugar intake, a couple teaspoons of honey or sugar in your morning oatmeal takes up almost half of your daily budget. It adds-up quickly! Tally-up your added sugar intake for an entire day and see how you do. If you go way over the recommended limit (as determined by your total caloric intake), don’t worry – most of us do! That’s why reducing added sugar in foods has become such a public health concern in recent years. → How to Cut Down on Sugar and Lose Weight with Phentermine. Eat Less Sugar, Lose Weight, Feel Better! The first, and most obvious, benefit of cutting sugar is the added weight loss! Added sugars add hundreds of extra calories to everyday foods, so cutting down on these empty calories is an easy way to eat less without sacrificing nutrition. Relatedly, if you eat more whole foods and fewer added sugars, there’s more room in your daily calorie budget for nutrient-rich, beneficial foods that better your health in the long-run! Recent studies have shown that people who eat (and drink) more added sugar have a higher risk of dying from cardiovascular disease. There’s also evidence that too much of the sweet stuff can increase blood pressure and worsen your lipid profile. More specifically, too much added sugar may decrease good cholesterol (HDL), while increasing bad cholesterol (LDL) and triglycerides. So, if you’re worried about protecting your heart’s health, cutting added sugars out of your everyday diet is a great place to start! You’ve probably noticed that sugar affects your mood, but did you know that too much added sugar is associated with an increased risk of depression? In a study of over 260,000 older adults, researchers found that people who drank 4 or more sweetened beverages (soda, sweet tea, etc.) per day were more likely to report depression than non-drinkers. Interestingly, the same study reports that frequent consumption of artificial sweeteners (e.g. in diet drinks) further increases the risk of depression. This, then, is an argument for minimizing both the real and the artificial sweeteners in your everyday diet. You’re working hard to lose weight with phentermine and look your best, so it’s extra important to protect your skin as well! Eating too much added sugar increases chronic inflammation and promotes glycation. In the short term, this worsens acne, blemishes and puffiness. In the long term, this makes your skin less elastic and duller – two characteristics that make you look older. So, if you want clearer, younger skin (and who doesn’t?) your complexion is yet another reason to cut-back on added sugars. This is by far the most debated benefit on this list. Some studies have linked excess sugar consumption – especially high fructose corn syrup consumption – to increased incidence or recurrence certain cancers (e.g. colon, pancreatic and breast cancer). Other research, however, has shown absolutely NO correlation between sugar intake and cancer risk. The one fact that most experts agree on is that eating too much added sugar leads to weight gain, which can eventually lead to obesity. Obesity, independent of sugar consumption, is linked to a higher risk of cancer. Did you grow up with your mom telling that eating too much candy was going to make your teeth fall out? Turns out she had a point. Eating and drinking too much simple sugar leads to higher rates of dental decay (cavities) and gum disease. This is because bacteria loves to feed on sugar, so simple sugars provide the perfect fuel for these unwelcome visitors. Overgrowth of bacteria in your mouth can also contribute to bad breath. All of this is made worse by the fact that many super-sweet foods, like candy, get stuck in your teeth and the acids used to carbonate drinks (like soda) further dental decay. To protect your teeth and keep breath fresh, limit added sugar consumption – both in quantity and in frequency. If you’ve ever felt addicted to sugar, this benefit may resonate with you. Eating too much sugar is linked with more cravings. This may be related to the fact that added sugars spike blood sugar, which is nearly inevitably followed by a crash in blood sugar. Even though you just ate, your body thinks you need to eat again because the hormones signal that your fuel is low. To avoid these ups-and-downs in blood sugar leave you reaching for constant afternoon and bedtime snacks, choose meals with plenty of protein, fiber and healthy fats. These three elements will help regulate blood sugar and keep you satisfied for hours to come. Eating a lot of foods with a high glycemic index is associated with an increased incidence of age-related eye diseases like age-related macular degeneration (AMD) and cataracts. AMD remains the leading cause of vision loss in older Americans. Glycemic index (GI) is a measure of how quickly a food or drink spikes your blood sugar. Foods with a higher glycemic index affect your blood sugar more dramatically. So, foods full of refined grains and/or added sugar typically have a very high glycemic index. Of the participants in this study, those who’s lifelong diets ranked the highest on the glycemic index were most likely to show signs of disease in at least one eye. To protect your eyes, choose low glycemic foods like whole grains, legumes and vegetables instead. This may be the most touted benefit of eating fewer sweets. Contrary to popular belief, eating too much sugar is not directly linked to an increased risk of developing type 2 diabetes. Some studies have linked frequent sweetened beverage (e.g. soda, sweet tea, energy drinks, etc.) consumption with a higher risk of type 2 diabetes, but the most concrete link has to do with weight gain. Consistent consumption of foods and drinks high in added sugars leads to weight gain and type 2 diabetes is a lifestyle disease that is more common if you’re overweight or obese. So, eat less sugar & lose weight to reduce your risk of type 2 diabetes. 1) Added sugars propagate a chronic inflammatory response that inhibits the proper functioning of your immune system and hinders your ability to fight off infection. 2) Natural foods that contain little or no added sugars provide antioxidants that strengthen your immune system. If you can re-assign those discretionary calories to berries, green leafy vegetables, pecans, or even dark chocolate, you’ll reap more health benefits from your food. What do you think about these benefits? 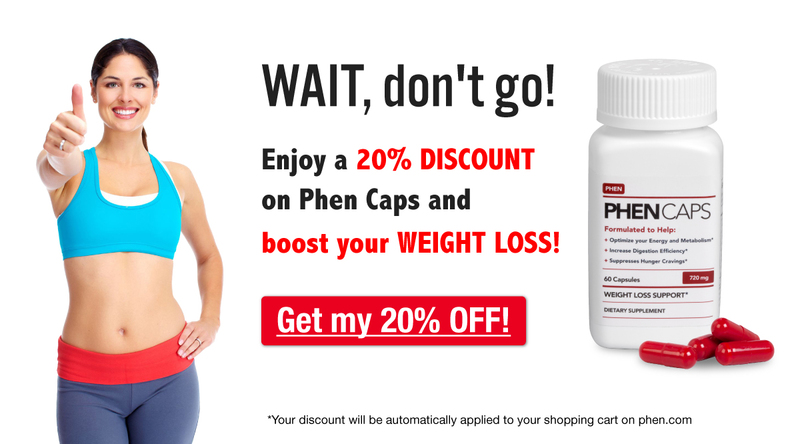 Are you trying to eat less sugar to lose weight with phentermine? Share your thoughts with us in the comments section below!